In the past couple of shows I talked about the long bow, the recurve bow, and the compound bow, and touched on the cross bow, this episode will be all about the crossbow, whether it is a formidable weapon in today’s standards, or is it a toy? I will talk about the history of the crossbow, the types that existed in the past and modern day, and the uses for modern day crossbows. We will look at the power they produce, and whether or not we should be prepping them. Who in the world still uses them (you will be surprised). 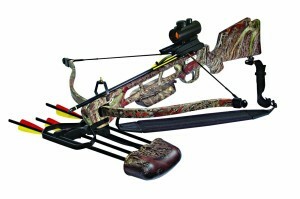 What kind of crossbow should you look for and what kind should you stay away from, along with the maintenance and care will be discussed. We will also take a look at the various style of bolts (arrows) used in them, and what you should get. From my preps I’ll talk about what I personally use and what I prep for using them, how I maintain my own, and how I practice. We will also go over the rules and regulations in various states and the pricing of the bows. I will go over the age group and the ability for those that cannot pull the bow back and a resolution to fix this. I will talk about the modern day advancements, materials and which you should have. Practice makes perfect, how to shoot, and the learning curve are important to know and will keep you on track not wanting to give up. How about the optics needed and where to find them, locally, and on the internet? We will go over that and the parts of the bow itself. What makes a crossbow a crossbow and not a standard bow? The differences and similarities between the two. All this and more. Listen to this broadcast or download “Crossbow… The Bow Part 3” in player below! Previous: Previous post: Women with guns! Anyone DO , or SEE podcasts on :DEALING WITH WILD ANIMALS ( In packs , or separate ! ) WHEN SHTF? the stupid people who Owned/Own these animals, or the ZOOS, will let them loose( Or they will escape ,eventually )! Seems a topic, NO ONE COVERS ???? ?